The venomous hand cannon is returning; here's how to unlock it. As week two of Season of the Drifter commences, 'how do I get Thorn' is the question most Guardians will be asking. Especially Guardians who enjoy dissolving opponents with damage-over-time in Crucible. 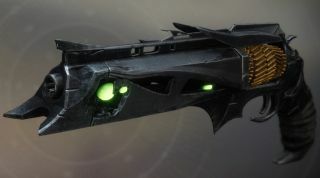 Thorn’s name carries significant weight among Destiny’s old guard(ians), evoking dark days in the Crucible where a solitary hand-cannon ruled supreme with its two-shot-kill deadliness and wounding damage-over-time effect. As a historic step of Bungie’s ongoing scheme of slowly reintroducing legacy Exotics, Thorn’s arrival next week could shatter the ever-fragile PvP weapon hierarchy until the obligatory, history-repeating nerf. Everyone might use it. No one might use it. Maybe pistols might be useful again. Metas are weird. Destiny database light.gg gives us a glimpse of the revived Thorn’s stats: range extenders Accurized Rounds and Corkscrew Barrel along with the unique perks Mark of the Devourer and Soul Devourer. The former’s showstopper effect of lingering damage ticks also generate Remnant fragments on a kill which, when picked up, triggers Soul Devourer to partially refill Thorn’s magazine and buffs its next Mark application. One perk hungers for the other, in essence, an ouroboros of shadowy qualities reflecting the gun’s sinister Light-consuming origins. Here’s the specifics of Thorn’s quest steps, once again courtesy of light.gg. This is where you'll find the ruins of Thorn. While it's not clear what points the player in that direction, some of the more dutiful guardians have already found it without help. Head to Salt Mines, go inside, and use the very first Transmat directly in front of you once you enter. Head up the hill, past the shield, and look for a small nook no the cliffside. Jump up and examine the fire to find the ruined Thorn. Check out this gif of the exact location or the video below if you need some extra help. A humble start. Take the husk of a gun known for consuming the Light of Guardians to Banshee-44 in the Tower, which is a place full of Guardians, and the Traveler is right above you, and Zavala is standing right over there. Go figure. This step marks a welcome quality of life change from Bungie in providing both PvE and PvP options for a weapon questline. Solo players can head to Io and complete Bounties at their own pace, while organized fireteams can grind the Crucible or Nightfall (the latter providing the biggest Essence gains). The Blind Well, as a reminder, is the major wave-style public activity for the Dreaming City in the same vein as Escalation Protocol on Mars or the Court of Oryx event from the first Destiny’s Taken King expansion. If you’re boasting sturdy companions and sturdier gear, you can enable the Heroic version for the largest boost to Plating drops. Check out Datto’s video for an excellent Blind Well primer. 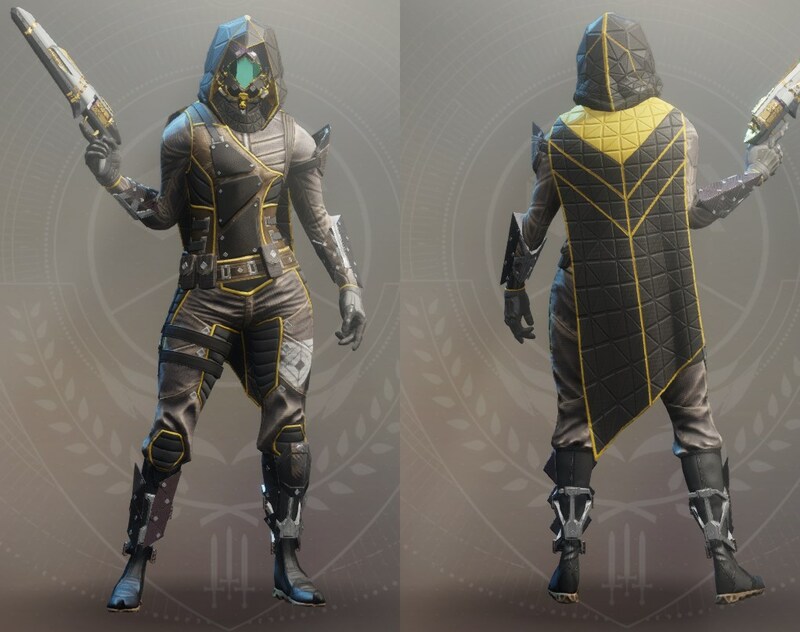 If your collection still lacks pieces of the awesome-looking Escalation Protocol weapon or armor sets, this’ll be the best step to correcting that grievous error. As before, the most demanding activity will award the fastest progression. Luckily, Escalation Protocol is still quite a player-active pursuit on the Martian surface, so head over to the Red Planet and join one of the many groups if you can swing it. You might recognize this throwback to one of the first parts of the original Thorn’s . Note that your hand cannon must be a Void Energy gun to satisfy this step. The bad news: there’s only a few of them in the game if you trashed your Year 1 stash (four if you count a Trials of the Nine reward). The good news: Thin Line is probably the easiest to nab of the bunch, as it’s a possible drop from one of the many Bounties offered by the Spider at the Tangled Shore. Other options include the Kindled Orchid, from Gofannon Black Armory Forge, and the IKELOS hand cannon from the Warmind expansion. In the Crucible, make sure to stick with your team and land those final hits to make your progress bar happy. I once took an Exotic engram to the Farm for Tyra Karn to decrypt. It became a Fighting Lion. I attracted a small gaggle of low-level Guardians who wouldn’t stop golf-clapping at my misfortune. (This was pre-grenade launcher buff, you see.) I digress; lonely Tyra will surely appreciate seeing your helmeted face after so long, and she’ll likely say a lot of lore things that many of you will rapidly press Enter through. Expect a higher Power level requirement, beefier enemies, irritating modifiers, and mobs of screeching Thrall to wear out your backpedal key. In addition to offing the final boss, you’ll need to defeat Sardav and Telesh, two jacked-up Hive-ians who’ll probably be a pair of annoyingly tanky Knights or annoyingly floaty Wizards. Once done, you’ll finally receive the fully powered and legendary Thorn in your inventory. Get ready for everyone to hate you in the Crucible.